Managed an evening of painting tonight. 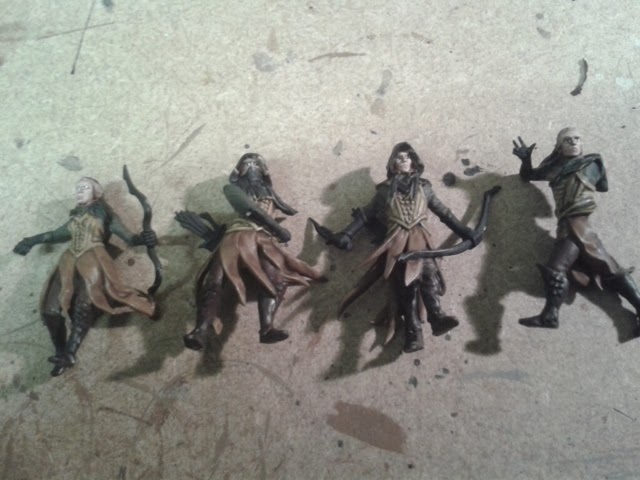 Unfortunately the pictures leave a lot to be desired but here is the latest on the Mirkwood Rangers. The other photos were truly awful, but they're making progress. I also made it down to Garrison last night. Had an amazing game of X Wing with Barry. I gave my new A Wing a run out, with Roark Garnet in the HWK, a blue squad B Wing and 2 rookie X Wings. Barry had a 6 strong TIE swarm. It was a game of tight manoeuvring and periods of good and bad luck. Sadly the rebellion was put in its place this time. Cheers Scott. 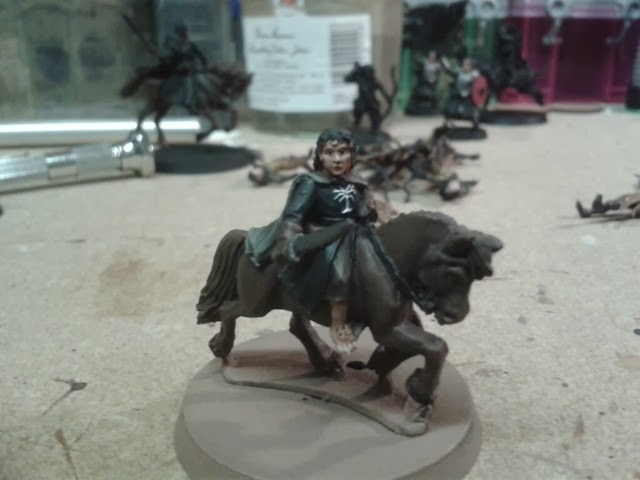 I usually paint with the models unattached to bases so that I can get in all the nooks and crannies. 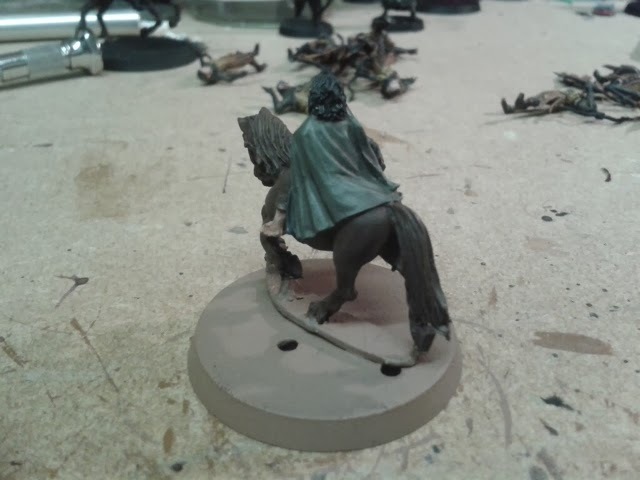 These models don't have tabs for slotta bases so it looks a bit odd. I'm nearly at a point where I'll be sticking som down. Oh, I really want to buy me a box now! 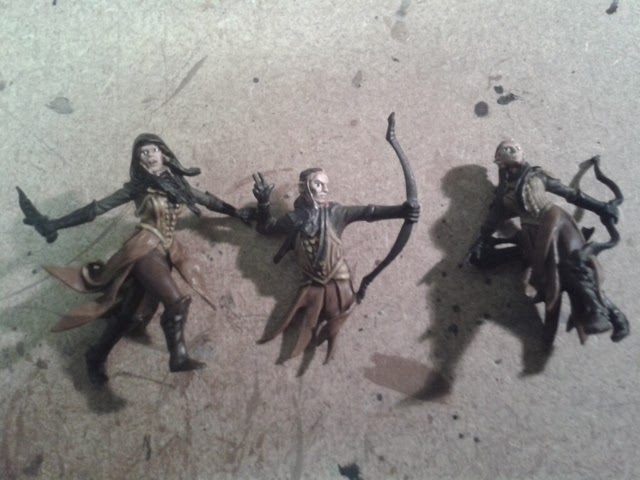 These will look mighty fine when done, and are of course coming along nicely. Cheers mate. They are very nice models, but pricey. I'm pleased they are taking so long as it sort of makes them better value for money. At least that's what I'm telling myself!